Obama Nominates Caroline Kennedy To Be Ambassador To Japan : The Two-Way If confirmed she would fit a tradition for the Japan post — where many other prominent Americans have served. But she would be the first female ambassador to Japan. Caroline Kennedy in February of 2013. 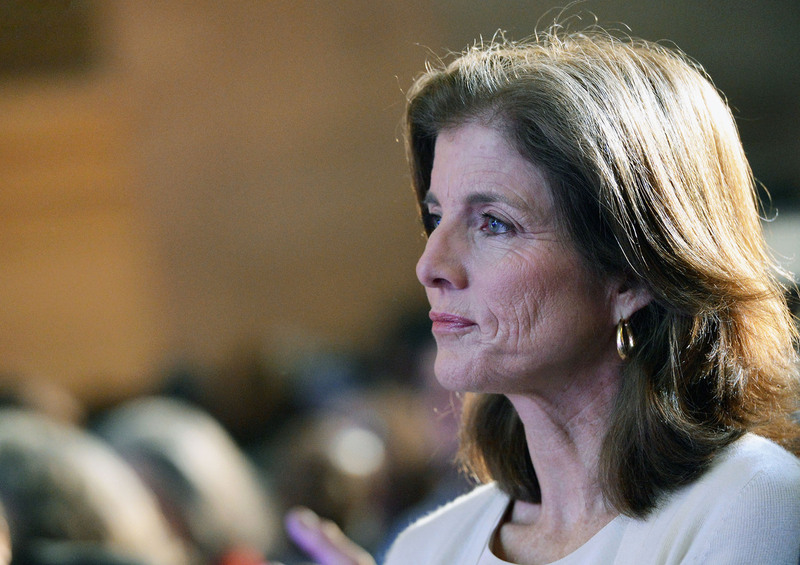 President Obama has nominated Caroline Kennedy to serve as the United States' ambassador to Japan. "The daughter of President John F. Kennedy and an early and significant supporter of President Obama's, Kennedy is also an attorney and the author of several best-selling books. If confirmed she would fit a tradition for the Japan post — where many other prominent Americans have served. But she would be the first female ambassador to Japan. "Kennedy was the co-chair of President Obama's vice presidential search committee in 2008 and she endorsed him early on during that year's Democratic primary, giving Obama an important boost over Hillary Clinton. Kennedy tested out a run for Clinton's New York senate seat after Clinton resigned to become President Obama's secretary of state but eventually Kennedy withdrew herself from consideration." "Her father, the 35th U.S. president, was assassinated on Nov. 22, 1963. Her uncle Robert Kennedy, a U.S. senator from New York, was assassinated while running for president in 1968. Another uncle, U.S. Senator Edward Kennedy of Massachusetts, died in August 2009 after serving in the Senate for almost 47 years. Her grandfather, Joseph P. Kennedy, was President Franklin Delano Roosevelt's ambassador to the U.K."